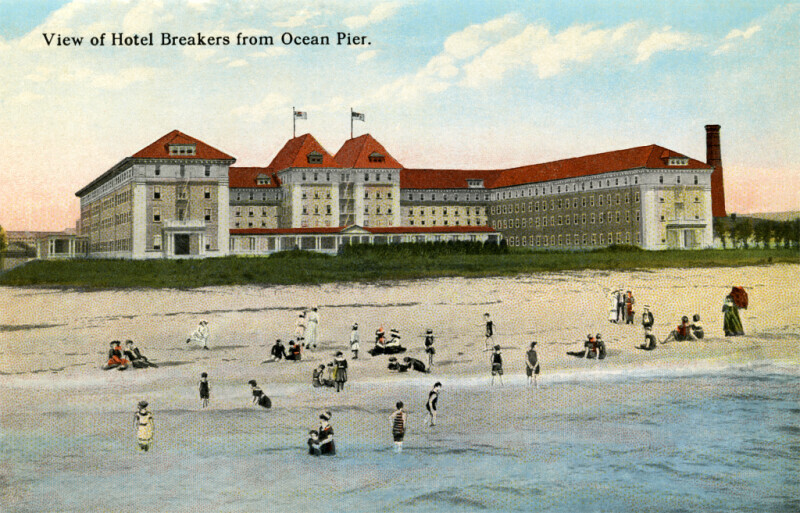 This image provides a view of the Breakers Hotel, from the beach side. There are people sitting on the beach, standing on the beach, and walking in the surf. The hotel is four-and-a-half stories high, and the roof is hipped. To the right of the building, a red brick smokestack can be seen.